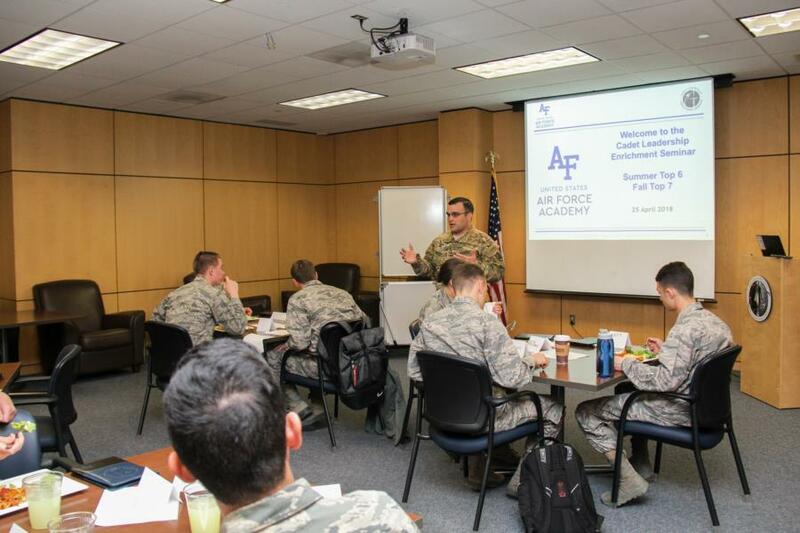 The Cadet Commanders’ Leadership Enrichment Seminar (CLES) is a leadership development workshop hosted by the Air Force Academy's Department of Behavioral Sciences and Leadership (DFBL) in partnership with the Center for Character and Leadership Development (CCLD). 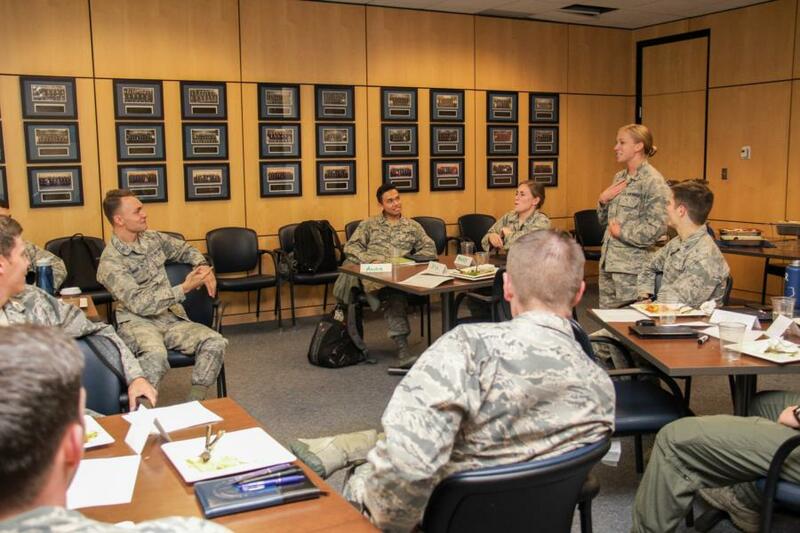 During the CLES seminars, a multiple mission partner team of leadership coaches, mentors, and experts from throughout USAFA prepare 150 cadet commanders and intercollegiate team captains per year to lead change in the Cadet Wing by achieving their unit goals. Cadets arrive to CLES with a desired goal, and then work with their cadet peers and a team of experts to evolve their goal into a specific action plan after considering issues of planning, communication, motivation, and feedback. 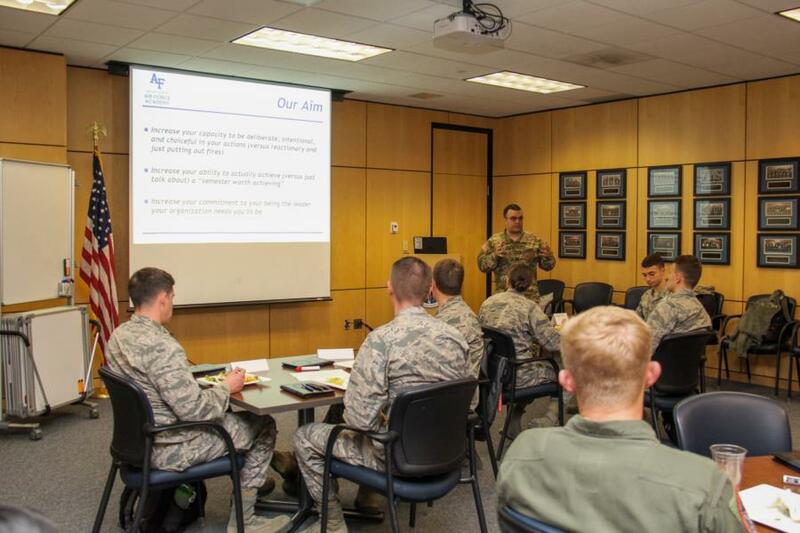 DFBL has hosted CLES each Fall, Spring and Summer semester since 1983 with the generous support of the United States Air Force Academy (USAFA) Association of Graduates (AOG). 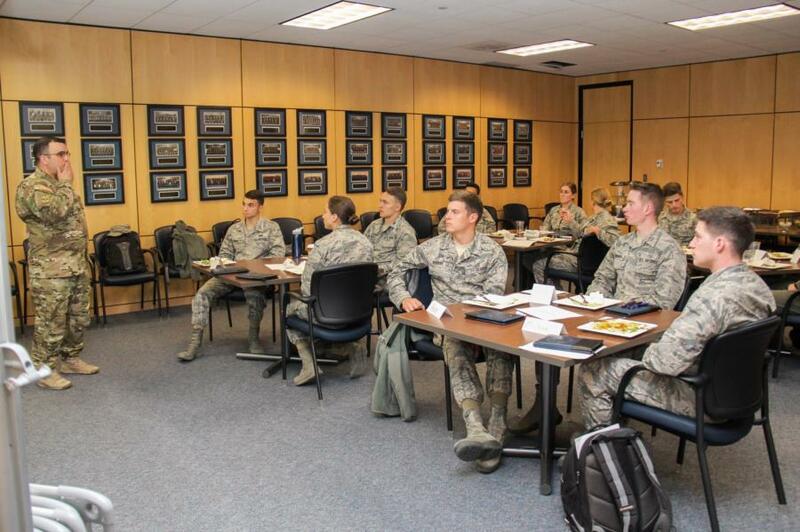 However, this session was slightly different in the fact that it was geared toward the 13 Cadets who will be the Cadet Leadership for the next two semesters. Why CLES? It helps Cadet leaders recognize that "LEADER ACTIONS" are "A CHOICE". 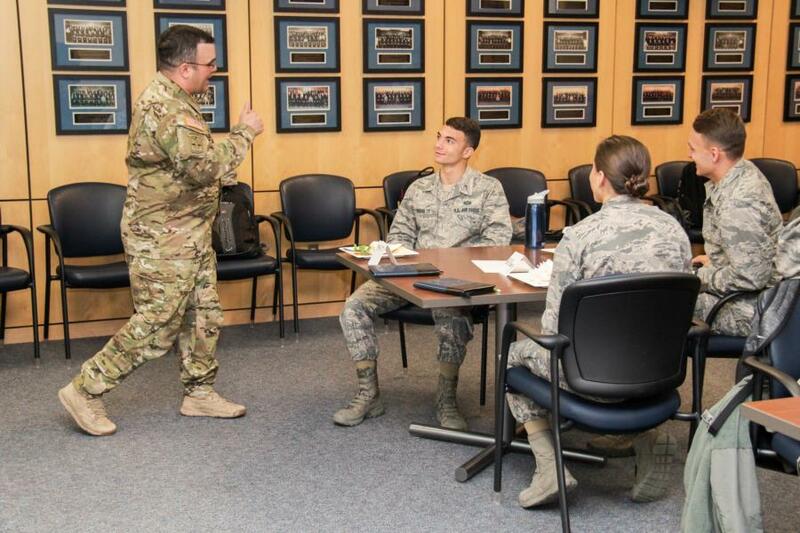 While also enabling the Cadets to create a high level of enrollment and support, generate commitment, and develop a winning and exciting environment. The aim of CLES this week with the top Top 6 Summer and Top 7 Fall Cadets was to increase their capacity to be deliberate, intentional, and choiceful in their actions. To increase their ability to actually achieve (versus just talk about) a "summer or upcoming semester worth achieving". And to finally increase their commitment to being the leader that their organization needs them to be. "We cannot motivate others, per se. Our motivation is determined by the chemical incentives inside every one of us. Any motivation we have is a function of our desire to repeat behaviors that make us feel good or avoid stress or pain. The only thing we can do is create environments in which the right chemicals are released for the right reasons. And if we get the environment right, if we create organizational cultures that work to the natural inclinations of the human animal, the result will be an entire group of self-motivated people." To view the rest of our glimpse into the CLES Summer Top 6 & Fall Top 7 Seminar go to; Galleries - Military Training - Character & Leadership Development. Or click the link below.